Every weekend I dread look forward to Sundays and the prospect of keeping my 3 1/2 year old quiet during three hours of church. I usually resort to snacks, threats and bribery to keep her quiet, but most recently I let her play with the Book of Mormon Touch app. I love going to church now because I can actually sit and listen to the speakers without worrying that my little girl isn't paying attention, making too much noise, etc. I like it so much, I had to share it with all of you. 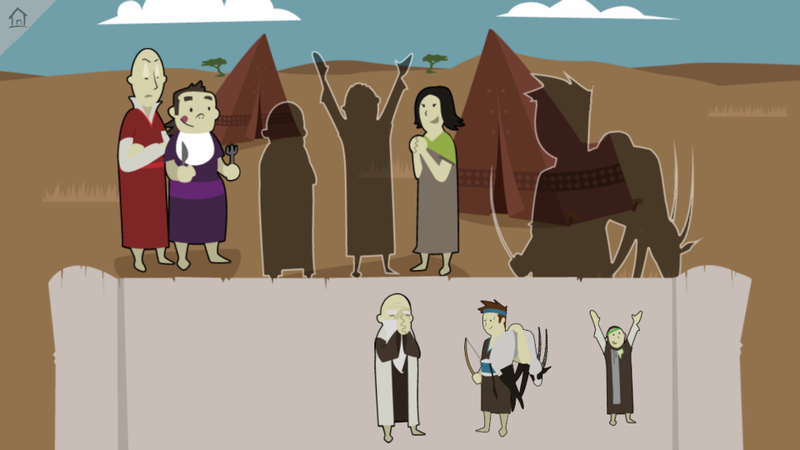 For those of you who aren't familiar with The Book of Mormon or the LDS Church, click HERE for more information. Book of Mormon Touch is a kid-friendly app that covers four different stories in the Book of Mormon (more content and stories is coming soon). 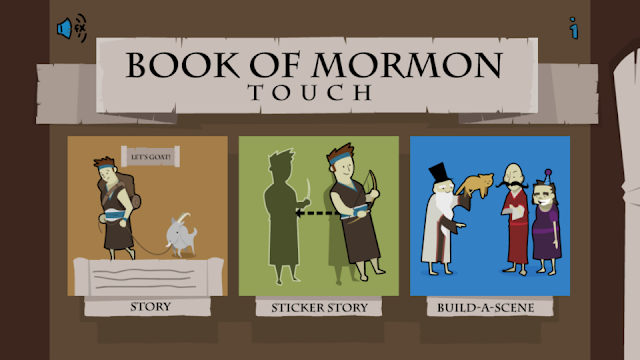 You can choose from three different ways to enjoy the scriptures: Story Mode, Sticker Story or Build-a-Scene. 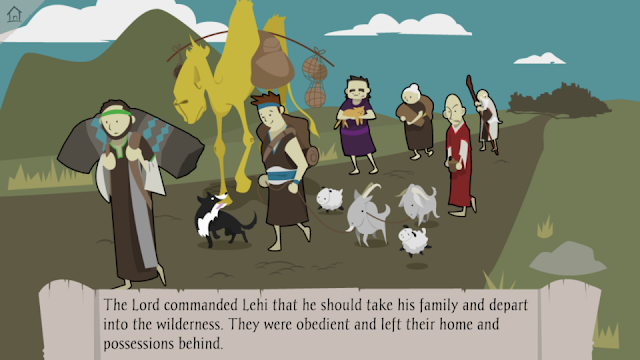 In Story Mode, the reader is led through each story with fun graphics and easy-to-read content. My daughter's favorite part was clicking on each character to find surprise word bubbles. If your child isn't old enough to read, you will need to read it to them (narration coming soon). We read the stories at home before church so E knew the stories and could scroll through them silently at church. Once you know the stories, you can switch to Sticker Mode. In Sticker Mode, the user can drag each character's "sticker" and place it onto the story board. This was E's favorite game. She loved matching the sticker shapes to the people and seeing them click into place. Once you've complete the scene, the story line pops open below. The last option is Build-a-Scene where the user can create their own stories with all of the different Book of Mormon characters and a TON of other images and backgrounds. When your child is done creating a scene you can share it on Facebook or via email. The above image is one that my little E created. Apparently even Book of Mormon characters like to have fiestas...in space! You can download the first story for free on Book of Mormon Touch's website. Want to win a free copy of the app? Head to Book of Mormon Touch's Facebook page, "like" the page and leave a comment saying The How-To Gal sent you! Winner will be chosen April 3rd. Looks so cool! Hope I win! !